Some said it couldn’t be done. Others said it wouldn’t be done. A few even said it shouldn’t be done. But yesterday, the Parliament of the Republic of Ghana finally passed the Right to Information Bill, striking a momentous goal for democracy, transparency, media freedom and the fight against corruption and graft. If there is some jubilation today, it is because it is well deserved. This bill has come a long and arduous way. First mooted in 1999, it has gone through several twists and turns, the victim of procedural delays that many put down to plain lack of will from the political leadership over the years. And it is again a testament, if any were needed, of His Excellency President Nana Addo Dankwa Akufo Addo’s unshakeable commitment to democracy, transparency and the rule of law. It would be recalled that it was during his tenure as Attorney General of this republic that another equally significant development, the repeal of the Criminal Libel Law occurred, paving the way for the boisterous media environment we enjoy today. History will remember our president kindly for taking these firm decisions in-spite of the political risks, for putting the health of the republic above parochial considerations and for advancing the cause of freedom whenever he had a chance. 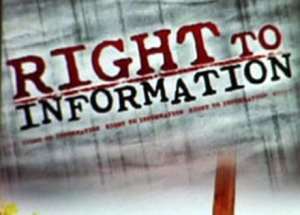 Right to Information Bills are not a uniquely Ghanaian creation. As far back as 1776, Sweden passed a Freedom of Information Act which gave the press access to and the freedom to print and disseminate materials about the government, courts, and parliament. Since then, a growing number of countries have joined in providing legal backing to journalistic inquiry. A study of global trends shows that increased transparency and the attendant reduction in corruption is associated with economic growth, social progress and personal wealth in those countries. Countries where official records are closed to the public are more likely than not to be the ones where corruption thrives, where public resources are unfairly distributed and trust in institutions is undermined, sometimes fatally. Ghana will now join the elite group of nations who guarantee, by statute, access to public records. The benefits will of course be enormous. Corruption and mismanagement are the twin burdens that are in large part responsible for our slow march to prosperity. As a young country with limited resources and seemingly infinite needs, it behooves on us to use our resources prudently. Sadly, this is not always the case. Our resources are administered by human beings and there have been too many occasions where public funds have been channeled away from the public interest into private ends. The RTI law, such as we have now, will ensure that the public, through the media and other interested groups, can see exactly what their money is being spent on. This can help us blow a whistle on graft before it is too late. Indeed, the very presence of the law – and its robust application – will be enough to caution officials to be on their best behavior. The sunlight from this bill, I daresay, will disinfect all the rancid corners of our public institutions. While corruption is likely to be the main focus of those who seek to apply these laws, there are other ways in which it will be useful. Our government takes many decisions in our names. To the extent that it does not compromise national security, we have a right to know what those decisions are and where possible, the reasoning that led to those particular choices. In the absence of RTI legislation, governments have been able to keep some of these decisions away from the public for reasons that are often purely on the basis of self-interest. When the president assents to this bill, as he has indicated he will speedily and eagerly do, he will be saying, never again. He will be placing true power in the hands of the people. He will be declaring that he is accountable to the Ghanaian people, that his government is and all governments that come after it, will have no choice than to be accountable to the citizens of this republic. Above all, it is a fulfillment of the promise made to us by the framers of our Fourth Republican Constitution of 1992, that every Ghanaian shall have these rights and freedoms, that power will be exercised by elected leaders on behalf of the people, to whom and whom alone, collectively, public officials, elected and unelected, shall be accountable. As has been said, the price of freedom is eternal vigilance. This bill and its effective implementation, gives us that oil that will keep our lights burning as we keep that vigil. This also means that we need to wake up to our responsibilities as citizens and apply ourselves fully to this opportunity in order for it to make full and proper effect. Journalists, in particular, must acquaint themselves intimately with its provisions and be conversant with the rules of its application in order to derive maximum use for the public. It also means that we must say goodbye to irresponsible reportage that is based on unsubstantiated allegations and wicked innuendos. No longer can we give rein to any form of speculation because we don’t have adequate information; the law says we can have it and to act otherwise is a desertion from ethical practice and a demonstration of ill-will to this republic and its institutions. Finally, it is worthy of note that the Right to Information Bill adds to the anti-corruption architecture of the nation, joining the Public Procurement Act and the Office of Special Prosecutor Act as legislation and institutions that give full meaning to the fight against corruption in this country. That all of these acts have been passed by the New Patriotic Party is adequate evidence that the party is fully committed to the war on graft and it is willing to do so even when it is politically inconvenient. I believe the parliamentary leadership, the media and civil society groups who have kept up the pressure thus deserve commendation. Above all, however, His Excellency Nana Addo Dankwa Akufo Addo deserves congratulations for showing commitment where others wavered. It is a credit to him and his legacy and the nation will remember.